God’s love is universal, one must know how to embrace it. 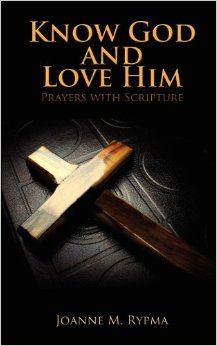 “Know God and Love Him: Prayers with Scripture” is a discussion of Christian spirituality, as Joanne M. Rypma advises readers on how to bring God’s love into their lives, drawing from scripture and finding their own personal truths in their lives. For those seeking prayers to bring them closer to faith, “Know God and Love Him” is a prayerbook very much worth considering.